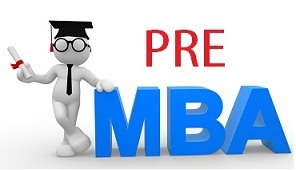 Pre MBA entrance exam tips-Here are few!! Earning a degree from any of the top ranking institutions can profoundly enhance the value your degree, as well as put you ahead in the pack with potential employers by increasing the chances of landing a high profile job. However, application to a business school can somehow be overwhelming. Many people are putting efforts to excel at their full-time jobs while at the same time taking part in extracurricular activities, working on their GMAT scores and taking care of their relationships with friends and family. Such pressures can be over demanding and render the task almost impossible. 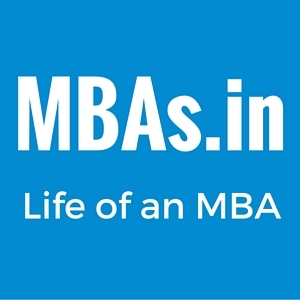 To improve the chances of being admitted to a top MBA program while maintaining your sanity, the application need to be systematic. The admission process appears conquerable when it is broken down into smaller chunks, and this is explained below. The GMAT is a standardized exam for entrance in most business schools and is particularly designed to measure writing, verbal and quantitative skills of applicants. The exam consists of four timed sections, with the first two sections containing thirty-minute writing tasks and the remaining two containing seventy-five-minute multiple choice questions. Considering that the GMAT is taken all year round, and it only takes two week to be mailed, and retake is not encouraged, it is always advisable to take the exam closest to the date of application. Admission Interviews Business schools generally schedule interviews after reviewing applications as well as narrowing down the applicants’ pool to serious candidates. A bad or a good interview can do much in swaying the admission committee. Typically, candidates who are mediocre on paper, but confident, warm, and focused in person have better chances of being admitted into the business school in comparison to those who are stellar on paper, but scattered, awkward or arrogant in the interview. Most business schools lack formal minimum requirement when it comes to GPA, but an average of 3.0 or higher is most the informal standard for serious contenders. Similarly, many schools lack the formal minimum requirement for GMAT score, but many committees consider a score of six hundred or higher as enough. However, business schools that are highly selective in nature may require scores of between 700 and 750. Two or three years of working experience may be a plus for the applicant although most schools only recommend it. In the admission letters, applicant should demonstrate as illustrated in the recommendation letters from previous and current supervisors their managerial potentials. The letter should focus on the leadership skills, critical thinking and capabilities of working as a team. It should provide support for the recommendation letter from supervisors, as well as express how the MBA will help in achieving your goals. Extensive background in the business related coursework will not be necessary, although some schools require some credits of foundational courses in finance, accounting, statistics, and economics. Unfortunately, after successful application and admission, some applicants find problems raising their tuition fees. However, the hard work cannot go unnoticed as csa phone number can be helpful in securing the necessary support and advise to pursue your dreams. Zara Andrew is from Scotland, UK. She is a reader and guest blogger. She has been writing contents on the web professionally. As an avid reader and blogger, she shares her experience through her articles on Travel, Education, Technology, parenting and many more Health and Fitness. Currently she is working for Csa phone number. You are better off story blogging on the platform than publishing comments like these which only diminish the brand value.